hej! Do you want to impress the girl or guy next door or land an overseas job or expand your business or want to read your favourite Danish book? Here is an effective way to learn Danish Online through Skype with some of our best Native Danish Teachers. Learning Danish can be very useful. Did you know that more than six million people speak Danish worldwide? That is a lot of people you can talk to of you learn the language. If you are travelling to Denmark then knowledge of the language will be helpful. Knowing more than one language is a great credential for any college application or job interview. Some of the best works of literature have been written in Danish. Knowledge of Danish is vital for understanding Danish literature. Learning Danish will also help you connect with the local and their unique culture which in turn help you gain new experiences that will last a lifetime. 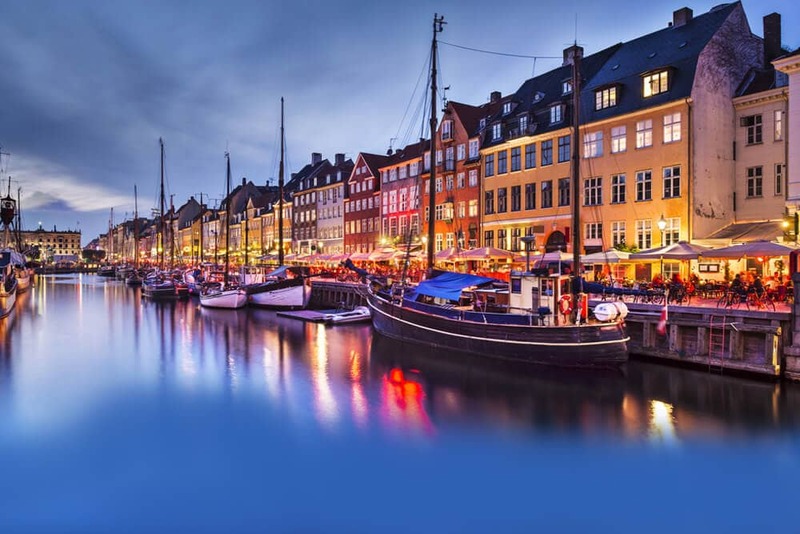 So whether you want to travel this to beautiful country and converse with the locals or explore the rich heritage, or just get an insider’s view of the history of northern Europe, you must learn Danish. Learn Danish Online from the comfort of your home, office, or school with our Experienced Tutors through Skype to increase your chances for finding love, friendship or job or to immerse yourself in the Danish lifestyle and culture! Some interesting facts about this northern Germanic language are that Danish alphabet makes use of all the 26 Latin alphabets along with three additional alphabets- Æ, Ø, Å. It is believed that Danish is one of the hardest Scandinavian languages to learn. This is mainly because of that fact it is spoken very quickly and can be intimidating for a beginner. Grammatically, though, it’s relatively easy. But one can find a huge difference between spoken and written Danish and it is easy to learn to read and write the language without having to learn the spoken language. You can learn Danish by joining a language class or by hiring a private teacher. But the most effective way to learn Danish is by joining an online Danish language course. Our Online Danish tuition through Skype is one such effective platform. Here all your tailor made lessons by our native tutors will focus on the core skills of listening and speaking. Also live conversation is what learning a language all is about. Our native tutors can provide you structured lesson plans along with live conversations to help you stay motivated and achieve your goals. By joining our online course you won’t just learn the basics of the Danish language; you will learn all you need to know to be able to communicate with the Danes with relative ease. Also you can access the language courses at anytime from anywhere, as per your convenience without even getting out from the comfort of your home or office. To know more about Online Danish lessons visit our homepage. You can now take Danish classes one-to-one using Skype with a tutor of your choice. Our Danish lessons are custom, effective, comfortable, and fun. Pick a tutor NOW! Choose anything specific. Whether it is conversational Danish classes, business Danish lessons or just learning how to greet and impress a loved one. We can help you with them all.